We would love to hear from you and chat through the requirements for your photographic project. 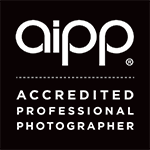 We have photographers based in all Australian Capital Cities. Should you require a quote for our services please use the form and provide us with the any information you have. We look forward to hearing from you.